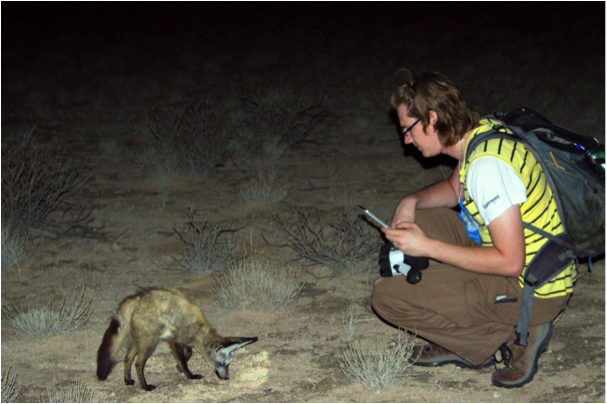 I was one of the people involved in getting the Bat-eared fox research project started. This involved long nights looking for any signs of fox activity, den areas and feeding hotspots. 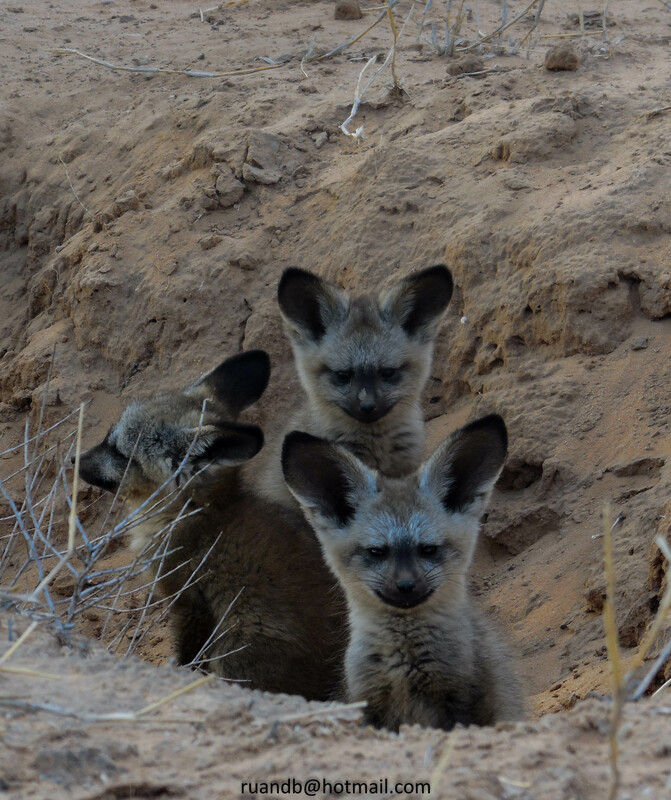 I also spent many hours habituating these dainty foxes to a level where they will allow us to follow them on foot. All these long hours of hard work is contributing to my PhD. I am interested all the biological processes of the species, but for now, I focus on paternal care and how the hormones affect this behaviour while looking at the overall hormone change over a calendar year. By the end of my degree I hope to have shed some light on this species and contribute scientifically to how they "work"!